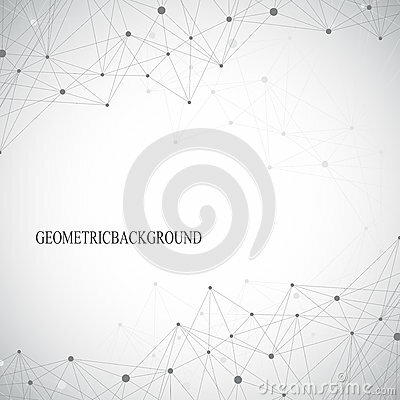 Geometric abstract grey background with connected lines and dots. Medicine, science, technology backdrop for your design. Vector illustration.